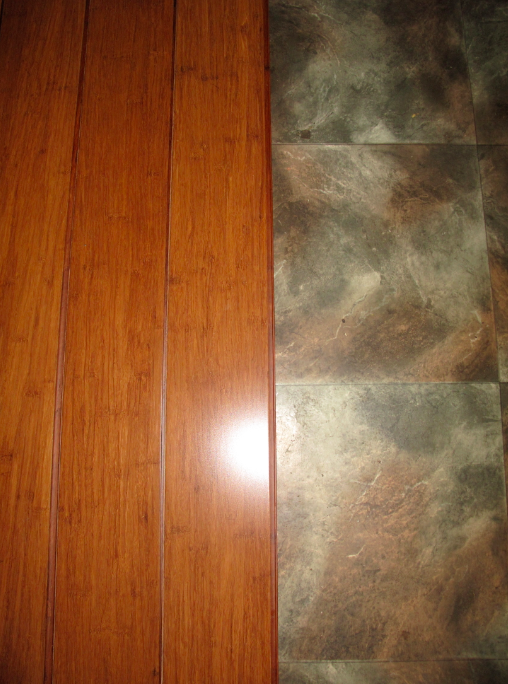 Three years ago we installed an attractive, low-cost laminate floor in our lounge and hallway. Sadly, it did not take long for buyer’s remorse to set in: 20 minutes to be exact. That’s how long it took to put a noticeable gouge in the new floor while shifting a large wardrobe back into place. Next it took a week for our kitten to wee under a sideboard, which seeped between two pieces of flooring and caused the ‘Wheatbix’ substrate to swell and warp. Later I heard from a man who used to work in a factory manufacturing such flooring. He said the process involved toxins and that he had left the job for health reasons. Thrifty: yes. Eco: maybe not. The laminate floor was a conspicuous outlier in our renovation in that it did not represent an investment in durability and performance. I have learned my lesson. 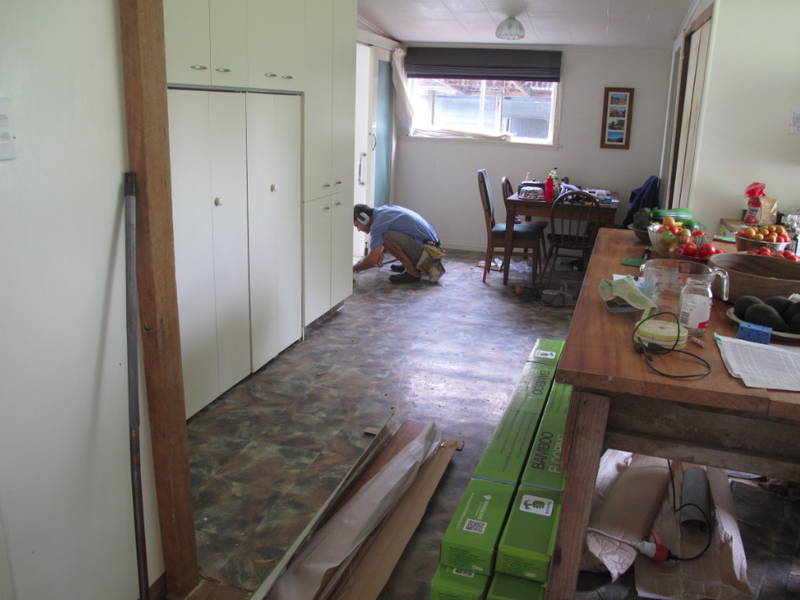 Recently we were in the position of covering a wide swath of 1980’s linoleum with some sort of ‘floating floor’ but not another cheap laminate.The term ‘floating floor’ refers to any flooring product that has no nails, screws or other type of brackets to hold it down. It is usually applied on top of a thin foam/foil material, and simply ‘floats’ on it. One of my colleagues at Fix.com recently wrote an article on sustainable building materials. 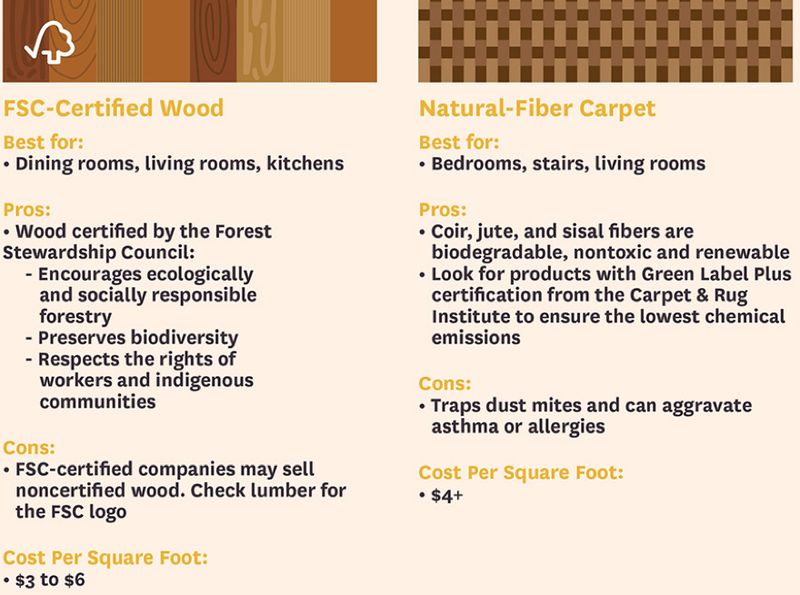 Four flooring types were included: FSC (Forest Stewardship Council) certified wood; natural-fibre carpet; cork; and, bamboo. (If you want to read the entire article, go to www.fix.com, and open the web page for Green Living.) After a bit of research, my wife and I decided to go with bamboo. The reasons included: durability, scratch resistance, eco-friendly, and easy to install. 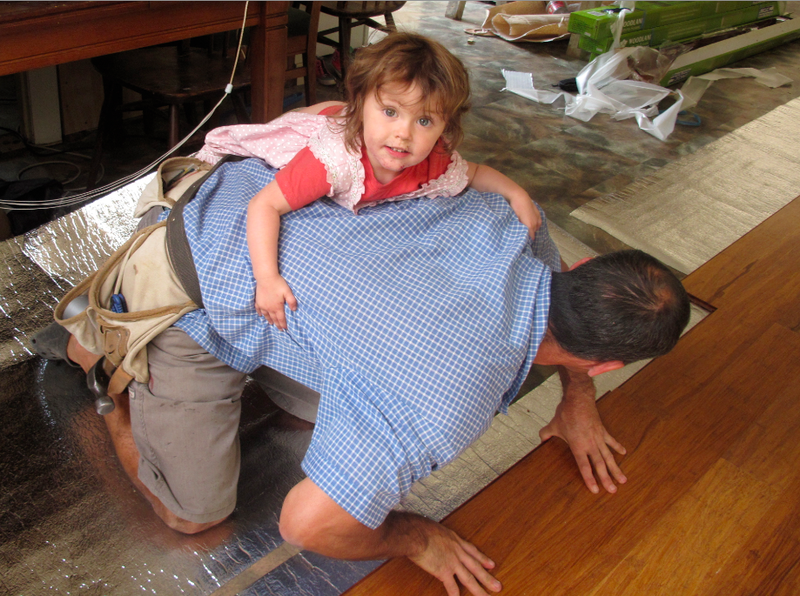 Alongside energy-efficiency and reusing materials, durability (aka, resilience) is a cornerstone of eco-thrifty renovation. Regarding durability, bamboo has been tested to a Janka Hardness Level of 15.3 kilonewtons. So what, you may say, until learning that rimu has a score of 3.6 and kwila measures 8.2. Even ironwood only reaches 10.5 on the Janka scale. 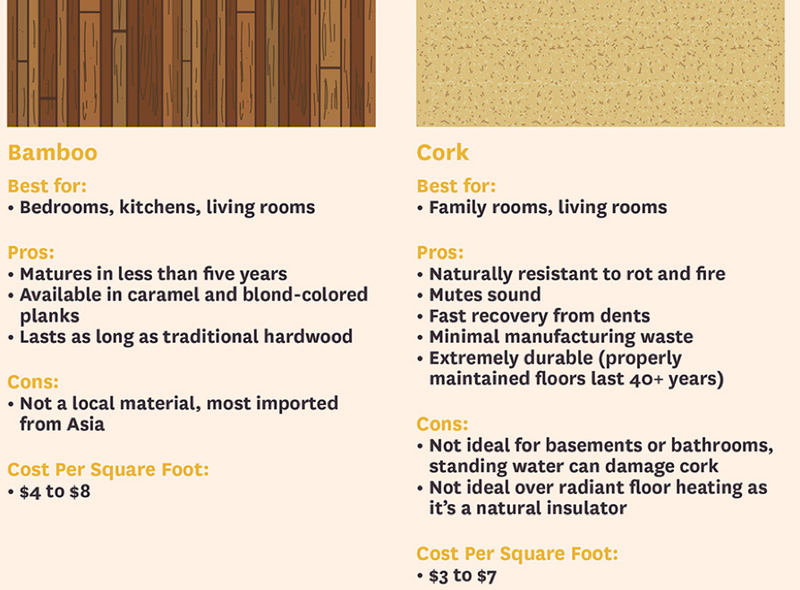 In terms of its eco-cred, here is what the website, www.woodlandlifestyleflooring.com has to say: “Bamboo is one of the fastest growing plants on earth, with some species growing several feet per day. 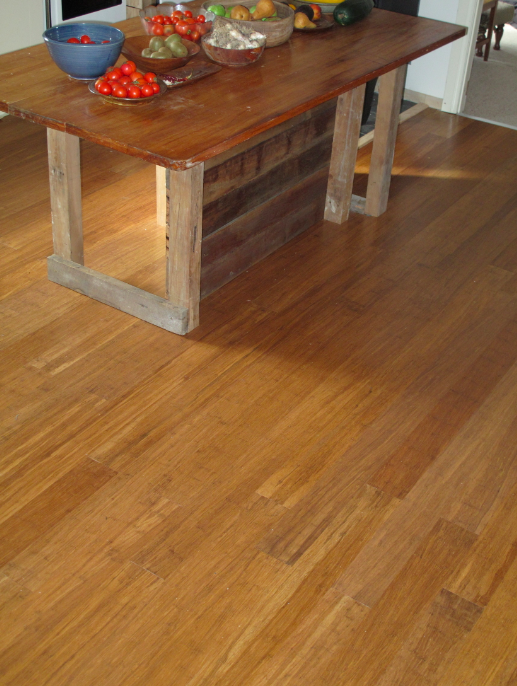 Bamboo flooring is a renewable and sustainable resource.” Additionally, our floor was coloured using a process called “carbonisation”, which means that there is no need for toxic stains or worrying that the finish may scratch off. The bamboo strands are pressure heated, which turns them a beautiful coffee colour throughout. Thanks Helen. May be worth saving up for rather than going with a cheap laminate. I think durability always pays for itself in the long run.